Product catalogs in Fusebill are synchronized to Salesforce Pricebooks for use within opportunities and quotes. 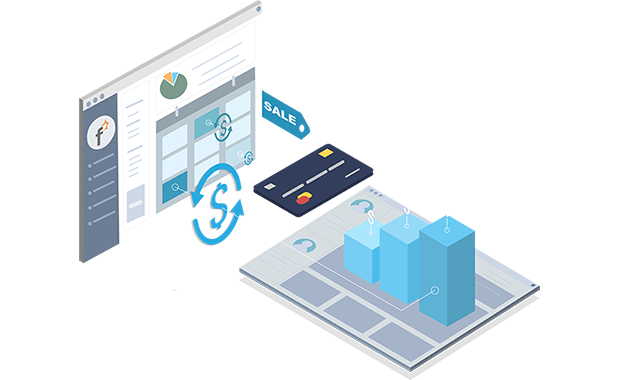 Plans in Fusebill synchronize with Pricebooks in Salesforce. 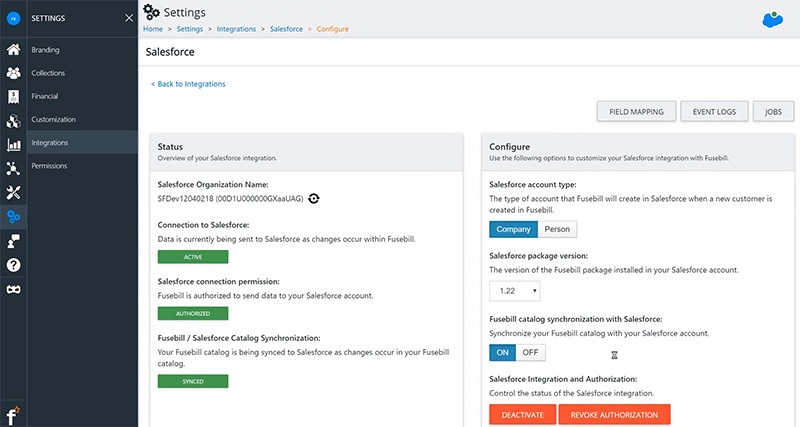 Once you activate the account and the subscription, all Fusebill data is pushed back into Salesforce including invoice information. Fusebill For Salesforce Frequently Asked Questions. Does the Fusebill integration work with Salesforce Classic? Fusebill supports both Salesforce Lightning and Salesforce Classic versions. Can you add products directly in Salesforce Opportunities? Yes, you can create an opportunity in Salesforce and add a product directly. You can create or edit selected products and quantities right in Salesforce. Can you add a payment method to a new live account from Salesforce? Yes, a payment method can be added for the new live account, either through Salesforce or Fusebill. What about security standards of the Fusebill to Salesforce integration? With this integration you can manage your billing from Fusebill, or directly in Salesforce, in a PCI compliant fashion.